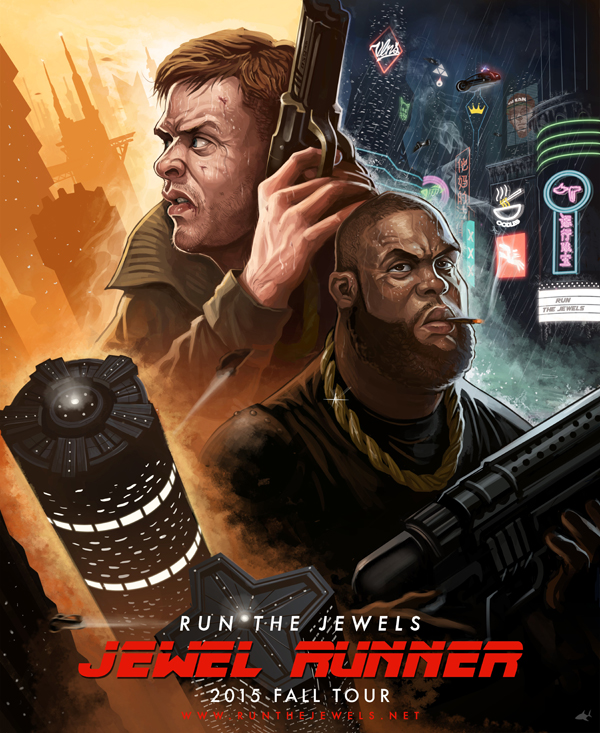 While performing a string of music festivals including Coachella and Bonnaroo, Killer Mike and El-P of Run The Jewels officially announced their forthcoming third project, Run the Jewels 3, the follow-up to their hugely successful 2014 album Run The Jewels 2. This summer, they hit the road for dates across all of Europe, Canada and the U.S. to support their album released by Mass Appeal Records. Frequent collaborator BOOTS will also tag along with the Jewel Runners for their U.S. dates. The duo has been all over the news lately. Notably, Killer Mike made a guest appearance on HBO’s Real Time with Bill Maher. The latest cover of Marvel’s Deadpool’s Secret Wars features a limited edition cover paying homage to the duo. Mass Appeal also put out a special release on Record Store Day for the single “Bust No Moves” feat. Cuz which can be picked up for digital download here. For tour dates and ticket information, check out their website at runthejewels.net. Be sure to catch the AudioSalad team at their performance at Northside Fest in Brooklyn on June 14!